Often, natural gas companies involved in drilling in the Marcellus Shale in West Virginia lease mineral rights from landowners and sign contracts to provide natural gas to third parties. Natural gas drilling can be profitable depending on the price the precious material brings on the market. But sometimes, drilling companies may be contractually obligated to continue drilling and supplying natural gas even when the price is depressed. In those cases, natural gas drilling companies may be forced to choose between their desire to avoid breaching the contracts under natural gas contract law and drilling at a loss or for small profits. Natural gas drilling companies can prevent these dilemmas when negotiating the mineral rights leases with landowners. The best way for a drilling company to avoid finding itself faced with drilling for little or no profit is to ensure that its natural gas contracts meet its needs under natural gas contract law. This means incorporating terms that are favorable to the drilling company and that accurately reflect the reality of drilling for natural gas in West Virginia. 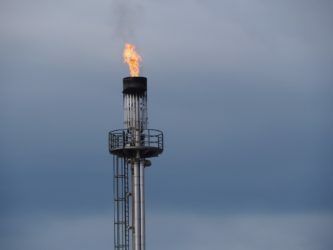 A gas company seeking to avoid the risk of drilling for natural gas when it is not profitable may want to negotiate a price condition in the contract. Under the price clause, the parties to the contract stipulate that the gas company is required to drill only if the market price stays above a stated price. This would assure the gas company that it does not have to drill for and deliver natural gas when prices are too low to be profitable. Similarly, a gas company may want to condition delivery of natural gas upon having nearby access to a pipeline. Currently, in most instances in West Virginia, no widespread pipeline system exists to carry natural gas from a well to a processing plant. Instead, after extraction from the ground, the people working the field load the natural gas into tanker trucks, which transport the natural gas to the processing plant. If a pipeline existed near the drilling site, the gas company extracting the natural gas would be able to cut out the tanker truck and thereby reduce expenses. By incorporating a condition that the company must have access to and use of a nearby pipeline to transport the natural gas, a gas drilling company would be able to avoid its obligation under natural gas contract law to deliver natural gas if transporting the gas to the processing plant was otherwise unprofitable. Contract law provides for certain defenses to a breach of contract claim when a party does not or cannot fulfill its obligation under the contract. Negotiating a bad deal does not remove one’s obligation under a contract, but flaws or deficiencies in the contract may excuse performance under the contract. A company unable to perform under a natural gas contract should attempt to present defenses to its actions to protect itself from being held liable for its alleged breach of the agreement. For example, if a gas company has an obligation to provide a third party with natural gas for an indefinite term, the company could argue that the contract is not enforceable because it is indefinite. For this argument to be compelling, the gas company might need to present evidence of local and industry standard practice regarding the term of a typical natural gas contract. Enforcement of drilling rights through injunctions and other means. The natural gas lawyers at Hendrickson & Long, PLLC have years of experience with natural gas contract law. We have served as counsel to oil, gas, and coal companies statewide. If you are in the natural gas business in West Virginia and have questions regarding natural gas contract law requirements or other mineral rights issues, contact the law firm of Hendrickson & Long, PLLC, West Virginia’s oil and natural gas defense specialists or call us at (304) 346-5500.